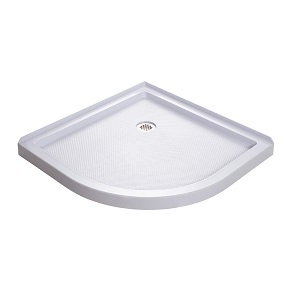 Shower bases are used to help protect the floor under the shower as well as help the water drain. The type of shower and the area in which the shower will be installed should be considered before purchasing a shower pan as they come in different styles. Single threshold shower bases are meant for showers that will or are installed in an enclosure created from three permanent walls. A drainage hole will be found right in the center of the pan so plumbing should line up with it. Fiberglass is used in the creation of the SlimLine Single Threshold shower pan to create a stronger more durable base. The fiberglass is coated with a sleek, high quality acrylic that is resistant to scratches and stains. Slip resistance is important in any bathroom shower and the SlimLine Single Threshold includes the slip resistant texture on it. The dimensions for this shower pan range from 32 inches to 36. 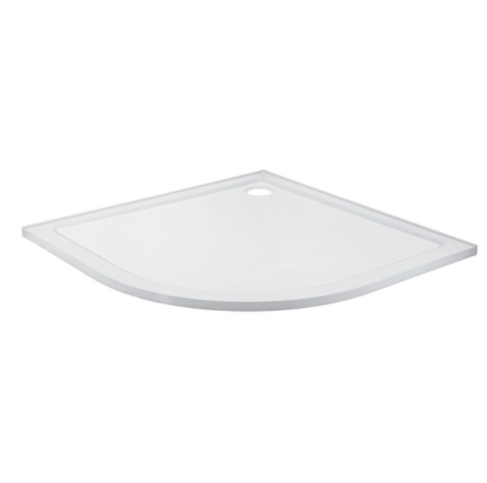 There is also a variety of widths available for the SlimLine Single Threshold shower bases and they start at 32 inches with the widest pan being 60 inches. The height of any of these pans is only 2 and 3/4 of an inch. The pan is shallow to allow for safety for the individual entering and exiting the shower, but is big enough to keep water from exiting the shower. Double threshold walk in shower bases are designed for corner shower use or for custom showers. 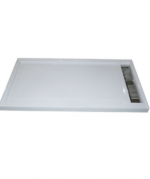 These pans have many of the same qualities as the single thresholds do that are in this product line. SlimLine designs products with the consumer’s safety in mind as they make the bases for the shower slip resistant and at a height that allows for easy access in and out of the shower. Durability is another key factor in the design of the double threshold shower pan as it is also created with the strength of a fiberglass core that has been covered with a modern acrylic coating that makes cleaning the pan easy, and keeps it beautiful at the same time. This beauty has the drainage hole on the left side of the pan. The quarter round shower pans created by SlimLine can be used in a variety of projects from custom to existing showers. 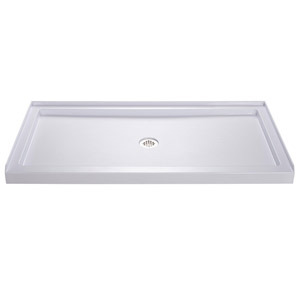 These easily installed pans are high in quality with the fiberglass core that has been embedded into a sleek, modern acrylic coating. The coating is not only beautiful but it helps to keep scratches and stains from damaging the base. On top of the acrylic coating is a safety feature that all showers must have. This safety feature is the slip resistant surface. The drainage hole for the quarter round shower pan is located in the corner so plumbing should line up with this configuration. 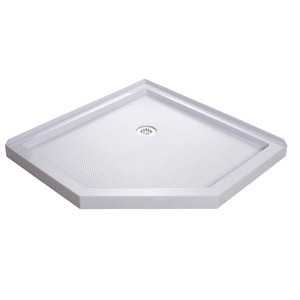 The SlimLine Neo Angle shower base is a sophisticated shower pan made from the durability of fiberglass that has been encased in acrylic, and then topped with a slip resistant surface. 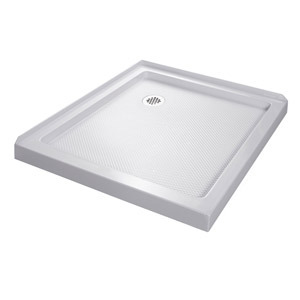 This shower pan is easy to install and easy to maintain. 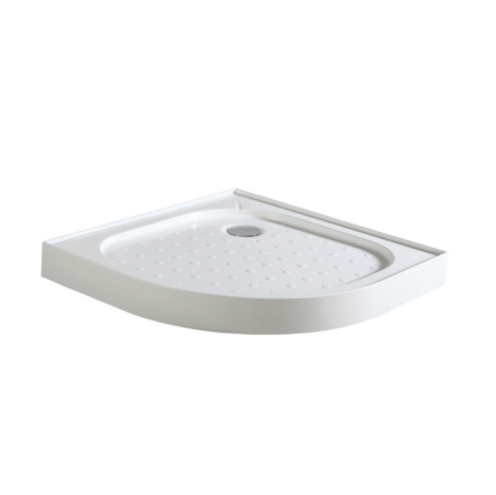 This beautifully designed base for the shower comes in sizes that range from 36 inches to 42 inches. The width of this beauty also comes in a variety of sizes that range from 36 inches up to that large 42 inches.